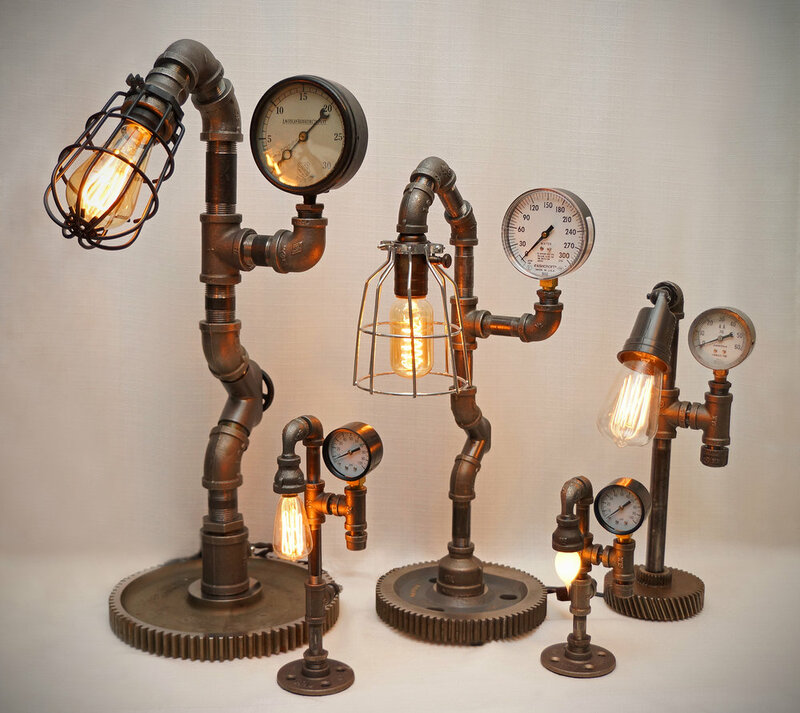 I make unique Steampunk and Industrial pipe lamps from iron and copper, with modern conveniences like USB charging ports, dimmers, smartphone cradles, night lights, bottle openers, and AC outlets. Over 20 different designs, priced from $89 to $599. Some weigh up to 30 pounds. I've made lamps out of fire alarm boxes, volt meters, cast iron valve handles, water meters, bird feeders, even kitchen faucets! Some lamps feature working clocks, pressure gauges, key hooks, wire bulb cages, and antique glass insulators. Custom designs available. These lamps make great conversation pieces, and there's something for every decor and every budget. 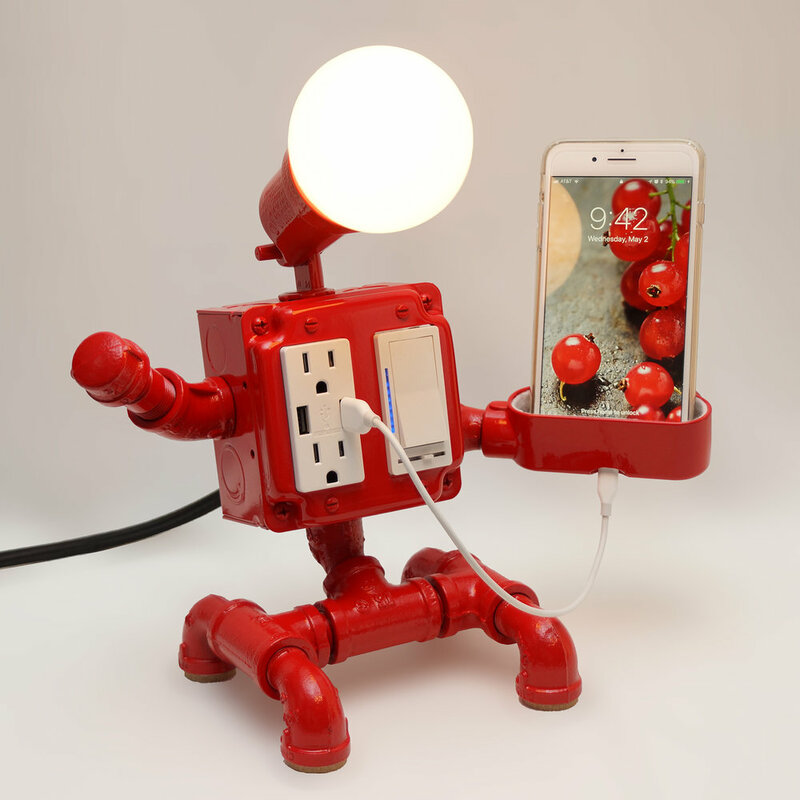 Floor lamps, accent lamps, and desk lamps are available.